Quality Control, Process control, Environmental education ｜ SEIMITSU SPRING Co.,LTD. 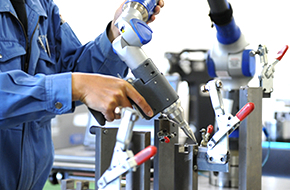 By clear quality and technical capabilities, we offer the product with which a visitor can be satisfied. Quality control of various products is stable. About various products, I am controlling the quality by various measurement apparatus. A guarantee of quality whose product which is becoming complicated in recent years is also stable by utilizing suitable measurement apparatus, such as a three coordinate measuring machine, can be performed. 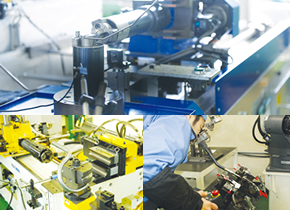 The manufacturing system is being interlocked with the manufacturing site by the in-company infrastructure. And our company is building production / sales system of our original which can carry out package management of the progress of a production process. Since a process situation can be grasped, our company can respond to the visitor's inquiry immediately. Moreover, a visitor's demand is sharable even if it is a person of a manufacturing site, since a shipment schedule is reflected in real time. 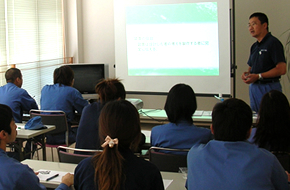 The employee education which considered work environment is carried out. Various education and OJT(s) are promoted for all the employees, and our company is planning so that an employee may aim at skill improvement himself. Moreover, I am trying to make comfortable work environment by promoting 5S activity.